Time to mingle with our brand-new mentors and make some connections to our fab mentees! 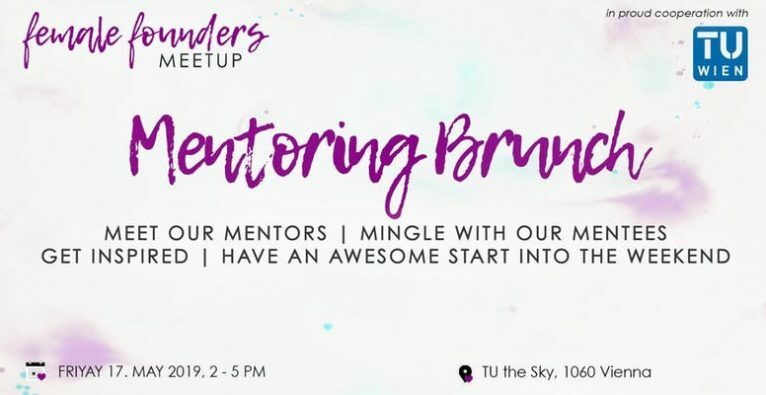 Everybody is welcome to join us for our next Meetup, serving as Mentoring Kickoff – your chance to listen to the stories of our mentee batch & get to know each other! What is the aim of the FF Mentoring program? No matter if you’re a founder yourself, about to start your own business, working in a startup, being the intrapreneur in a corporate environment or if you’re just interested in meeting driven women who are willing to go the extra-mile: This happening is for you. You’ll meet valuable business contacts, experienced founders and supportive ladies in a relaxed atmosphere. So if you’re open-minded, willing to share & learn and a great person to hang around with, this is your place to be. Get a special 20% discount on all yearly memberships with der brutkasten. As a Female Founders Member, you have access to all Female Founders mentoring-programs and masterclasses, as well as to exclusive events with highly successful investors and entrepreneurs. Find out more on Female Founders – Become an exclusive member.